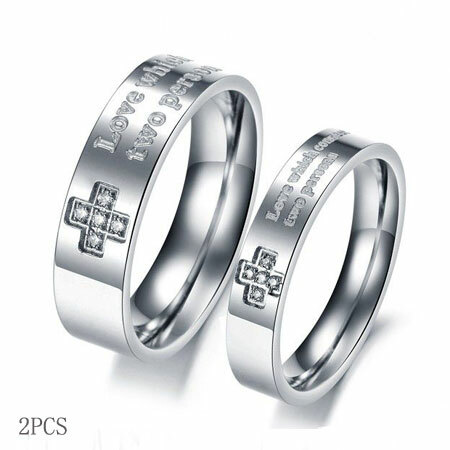 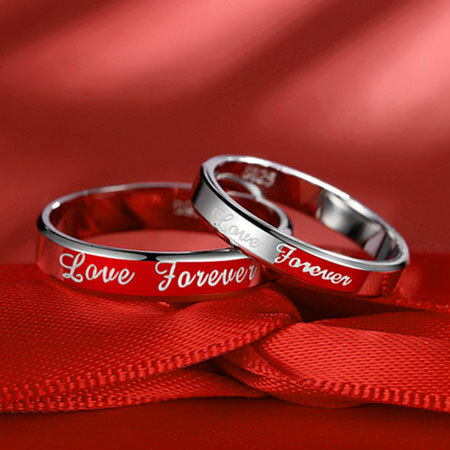 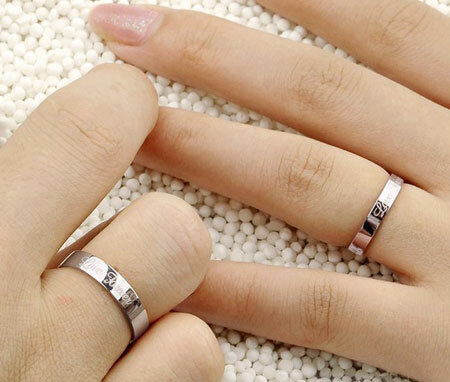 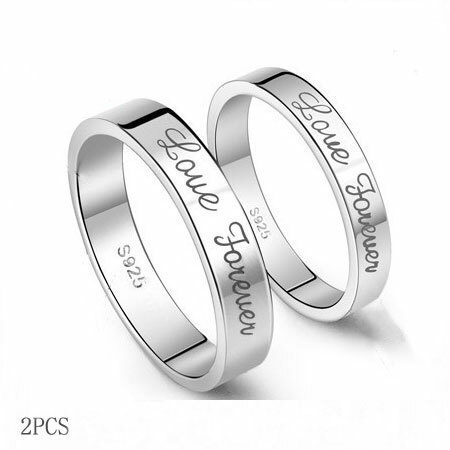 "Love forever" engraved on this his and her promise ring set. 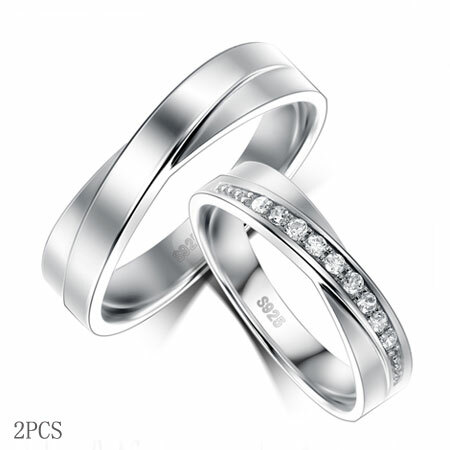 Promise rings stand for the commitments between young couples. 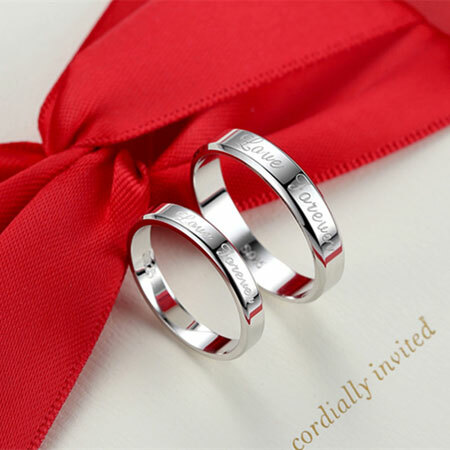 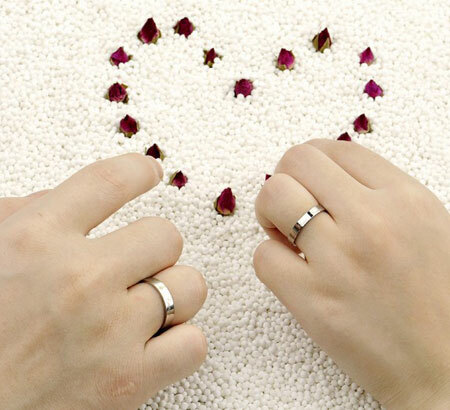 Nothing is more touching than receiveing the couple rings simple engough but with the vow of love forever. 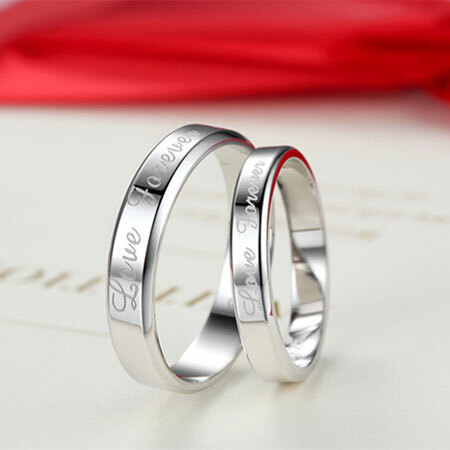 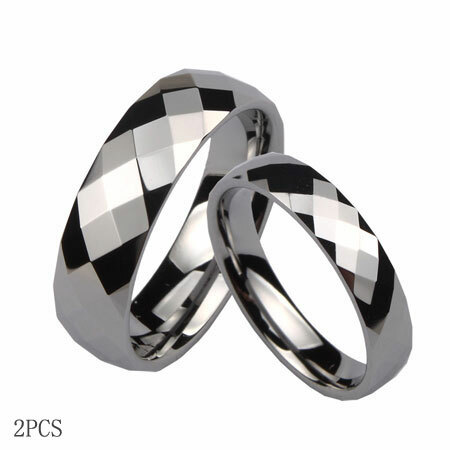 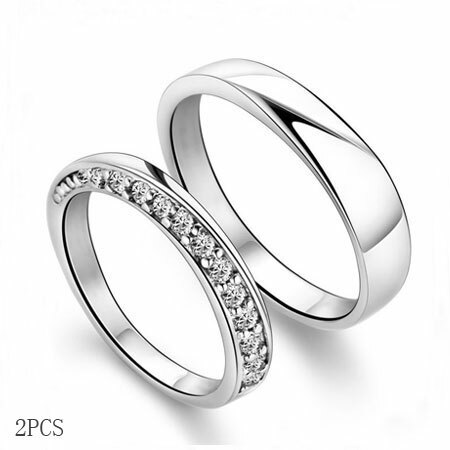 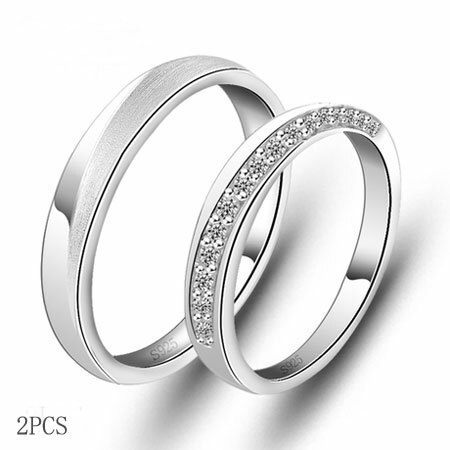 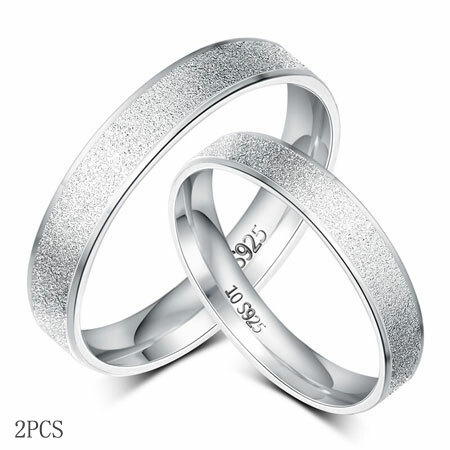 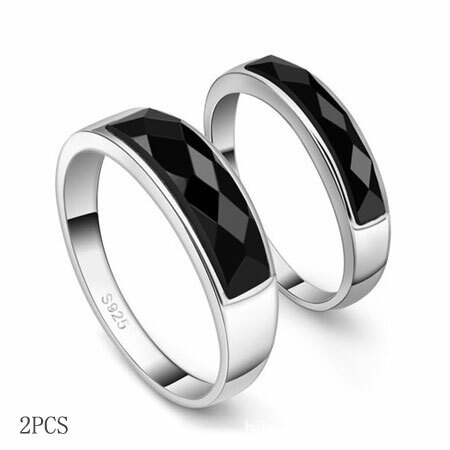 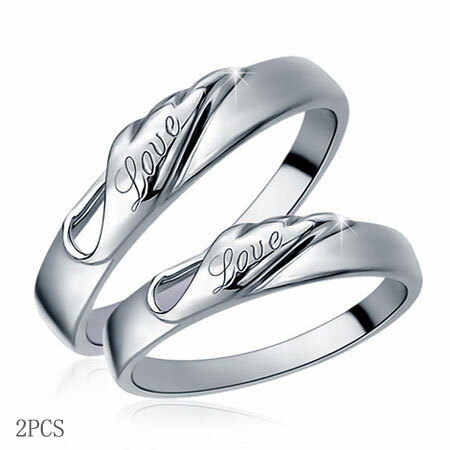 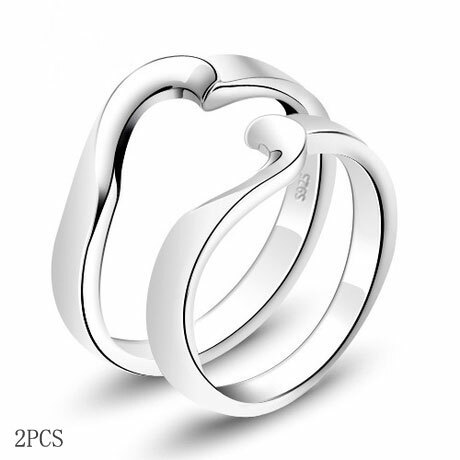 Made of 925 Sterling silver and you can have the date or name engraved on the inner side of the his and her promise rings.